Prerequisite for this class is Beginning Acrylics. This course builds upon the skills acquired in the basic class. 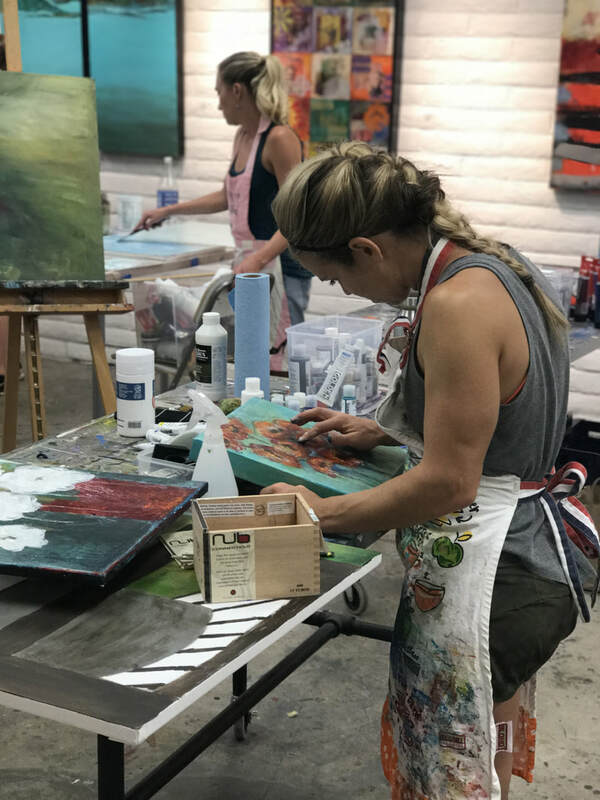 Artists will learn about composition for abstract art, different tools and mediums to incorporate in a piece of artwork and how to start an abstract piece from scratch. ​Each artist will be working on 1-2 pieces that they will complete during the 6-week course. This course may be repeated and new lessons will be added as artists advance. Proficient artists who have taken this class may want to investigate our Advanced Acrylics class. Learn under the clear guidance of owner and artist, Kate Ashton. Kate brings to each class her years of experience making a living as an artist. She has built an arts community based on the principle of cooperation rather than competition. She has two masters degrees and has taught 20+ years. She is honored to be one of the finalists chosen by Professional Artists Magazine as mentor of the year and placed 12th in the nation. Come and grow under this seasoned instructor and get ready to excel. With a degree in Interior Design, Ann Golumbuk brings a stellar sense of composition to all the art work she does. She has worked for 15 years as a volunteer art teacher developing young artists. 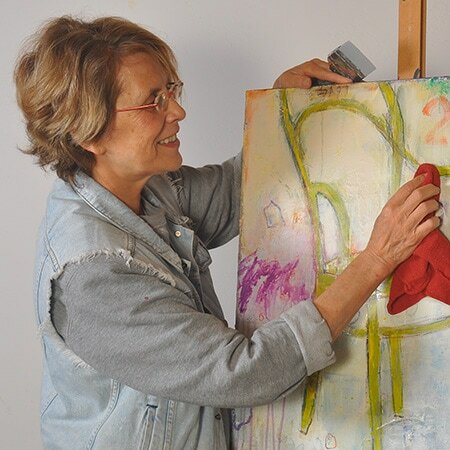 She is one of the recognized professional artists represented by Ashton Gallery and has a well-known reputation for creating dynamic, large, exuberant artwork dancing with color and rhythm. Paint and grow under the direction of this enthusiastic, supportive instructor. "if you want an adventure in art & creative energy, this is the place for you!"